Stretch and shrink sleeve labels are plastic or polyester labels that wrap the entire perimeter of a product and conform to the package’s unique geometry. Stretch labels are typically made of LDPE and are highly elastic so they can be pulled over the product container. Shrink sleeves are applied in loose form and conform to the product package when exposed to heat by conveying the product through a heat tunnel. Both stretch and shrink sleeve labels are emerging as a desirable form of product labeling due to the 360-degree message branding that helps the product attain high impact presentation on the store shelf. The stretch and shrink sleeve market is growing at an incredible rate. It is expected to reach $13.2 billion dollars by 2020 and will experience a CAGR of 5.5% from 2015 to 2020. Asia-Pacific region leads the market with highest users while Europe and North America follow in that respective order. Conventionally, stretch and shrink sleeve material is printed using a flexographic print method which means high volumes are needed and diligent material planning is necessary to have the stretch or shrink sleeve labels delivered in time for production. 8-color digital printing process is now an option, meaning that shorter production runs and faster delivery is now a possibility. One can expect the price per sleeve to be higher from digital printing versus flexographic printing due to a difference in economies of scale. While digital print has a higher cost, the benefit of delivering more seasonal or regional targeted packaging can outweigh the increase in material cost. Stretch and shrink sleeve labels can be designed with perforation in target areas for easy removal or to provide an additional layer of tamper evidence in the container opening area. Having just the opening area perforated means the cap can be removed while the majority of the label on the package body remains in place. Perforation for easy label removal plays an important role for recyclability of the packaging container. Until recently, the plastic material of the shrink sleeve label was difficult to separate in the recycle material sorting process. Now with LDPE and PETG film material used, the label can be easily sorted and recycled. Stretch sleeve labels are less expensive than shrink sleeve labels by roughly 30% to 50% and there is no need for another process like a heat tunnel once the label is applied. The downside to stretch sleeve labeling is that the application rate is typically much slower than shrink sleeve labeling; typically less than 150 containers per minute. Stretch labeling is ideal for bulk volume containers like one-quart to one-gallon containers. Stretch sleeve labels are ideal for applications where harsh chemicals or fluids may come into contact with the outer package during the filling process. Harsh chemicals and fluids are known to interact with the glue of conventional adhesive labels causing the label to peel over time. If applying stretch sleeve labels post fill, it is ideal to blow dry the product packaging prior to stretch labeling to eliminate the potential of trapped moisture or food getting caught under the label. Any food caught under the sleeve label is prone to becoming a bacteria site. 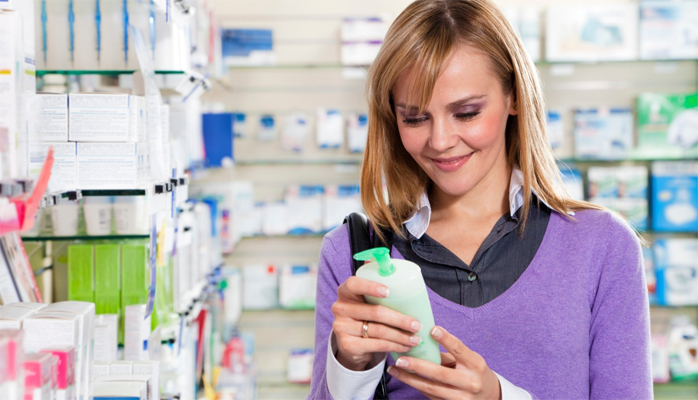 For stretch sleeve labeling, pre-fill labeling is recommended. Stretch sleeve labels are less expensive than shrink sleeve labels by roughly 30% to 50% and there is no need for another process like a heat tunnel once the label is applied. Shrink sleeve labels are ideal for container package labeling where the product is packed at higher throughput rates, up to 800 containers per minute. The sleeve is “dropped” onto the product container either pre or post fill. Applying the shrink sleeve pre-fill provides the advantage of obtaining a clean container for accurate sleeve application, eliminates unwanted heat applied to the package product, reduces scrap and batch loss due to misapplied sleeves and eliminates the potential of trapped water or food particles behind the sleeve. Like stretch sleeve labeling, if applying the shrink sleeve post fill, it is good practice to dry the container before the sleeve is applied for smooth sleeve insertion. Wet containers can cause the sleeve to not be uniformly applied impacting the quality of the product appearance once the sleeve has conformed to the package container. The continuous roll of stretch and sleeve label stock is fed through the label applicator guide rollers and presents the sleeve material in a flat format that is needed for a thermal transfer overprint (TTO) product coder or thermal inkjet coder to date code the sleeve. 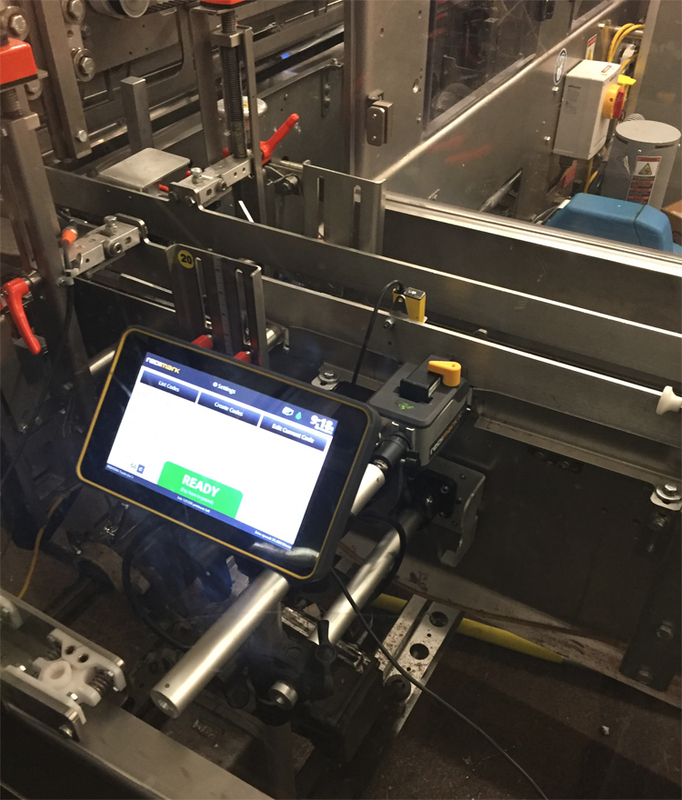 The product coder print trigger is cycled by a registration mark that is pre-printed on the sleeve material and detected by the registration sensor that is built into the sleeve label applicator machine. Thermal Transfer Overprint (TTO) technology provides the advantage of rotating the product code in the same horizontal plane as the printed brand on the sleeve. To achieve the same result with thermal inkjet, the sleeve material needs to be rotated 90-degrees using film guide rollers prior to sleeve application (see the film guide in the top right area of the photo above). The price of a Thermal Transfer Overprinter ranges from $7,000 to $16,000 while a TC12 thermal inkjet printer from Redimark can be purchased for a low introductory price of just $1,495. The non-porous sleeve materials require an inkjet ink that is fast drying. 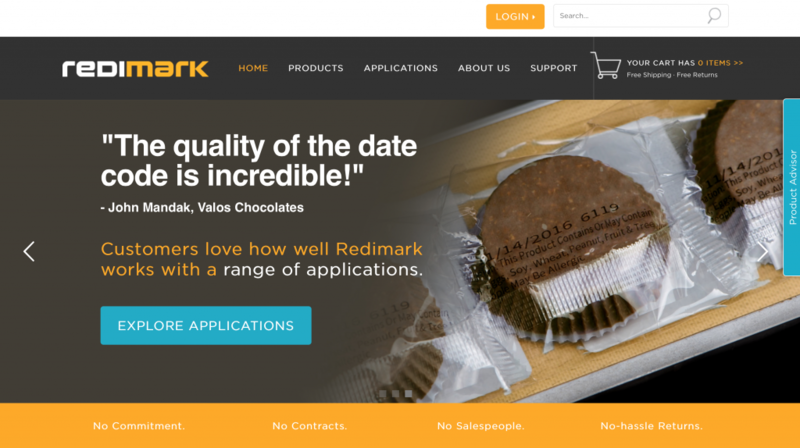 Redimark’s incredible performance of the T801K ink dries within 1 to 2 seconds upon contact with the plastic material making it a perfect fit for this sleeve label application. Redimark’s TC12 thermal inkjet coder offers superior print quality and fast drying cartridge inks for many types of plastic packaging materials. The TC12 inkjet coder is the ideal thermal inkjet coder to consider as an alternative to replace your Thermal Transfer Overprinter or Continuous Inkjet Coder for marking and coding non-porous flat packaging materials. 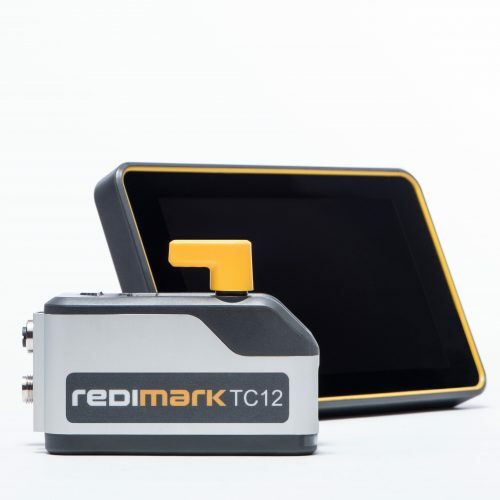 To learn more about the TC12, visit redimark.com.